Since its discovery 4000 years ago, Cheese has melted the hearts and minds of people (like literally) all over the world. It’s one of the most loved and well, hated foods all over the world. So much so, that to be a Cheese connoisseur is actually a really job. There are institutions set up for the study of cheese that has captivated millions around the world. If you are a cheese expert in the pursuit of cheese you have probably had cheese from the usuals: Wisconsin, France, Italy and the Netherlands. But have you had cheese from countries like Tibet? Or Japan? We don’t get it at the local market but some of these cheeses look absolutely gorgeous and others, not so much. Let’s take a look at them, shall we? Found in East India, Nepal, Tibet, and Bhutan, chhurpi cheese is made from buttermilk. It is similar to ricotta, but its long fermentation gives it a more tangy taste. In its soft form, it has a goat cheese-like consistency and is usually served alongside rice. The hard variety is made by dehydrating the cheese and letting it hang over a fire. We think Oscypek cheese looks more like a loaf of bread than cheese, because of its wheatish complexion and patterned ridges. It is a smoked sheep’s milk cheese that can only be found in the Tatra Mountains region of Poland. We don’t normally associate cheese with Japan, but we do associate the Land of the Rising Sun with cherry blossoms. Sakura cheese is a soft white cheese that is wrapped and flavored with cherry mountain leaves. The cheese is so good it even won the gold medal at the 2004 Mountain Cheese Olympics in Appenzell, Switzerland — which is a contest that actually exists. 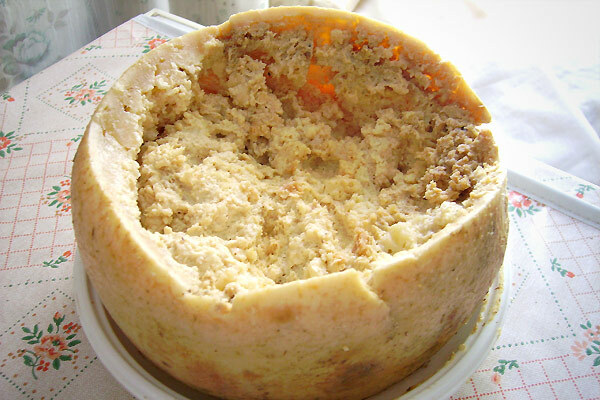 Casu Marzu is a Sardinian specialty made of rotten sheep’s milk cheese that is decomposed and crawling with live insect larvae. Though declared illegal in the European Union, it is a thriving black market staple because of its supposed aphrodisiacal properties (and its amazing taste, we guess). 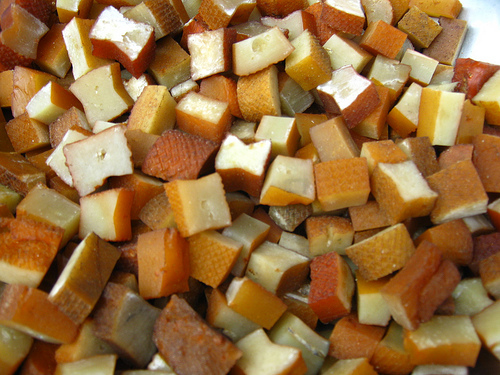 Leipäjuusto, also known as “Finnish squeaky cheese,” comes from cow’s beestings (the very first few amounts of milk it secretes), though reindeer and goat milk can also produce this cheese. You can get it made with regular milk, but since the cheese is already mild, it won’t taste like anything special. When served, it looks like a cake, and is served in slices alongside coffee; its charred top comes from being flambéed. When you look at parenica, it doesn’t look like cheese as much as finely sculpted butter — the kind you would find on a table at a fancy, old-fashioned restaurant. 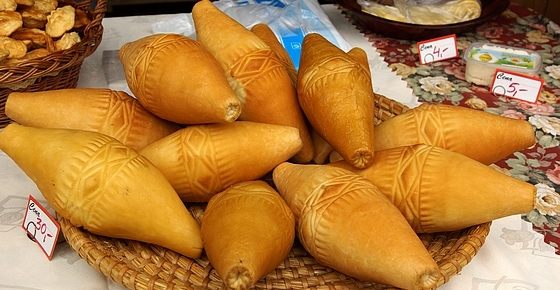 A traditional Slovak cheese, it is steamed and smoked (giving it a burnt yellow color). It is produced in strips and rolled into intricate, snail-like circles.